Family. Beyond the obvious, it’s a term generally used to describe a special bond between two or more people. The word represents images of caring, unity, and kinship. 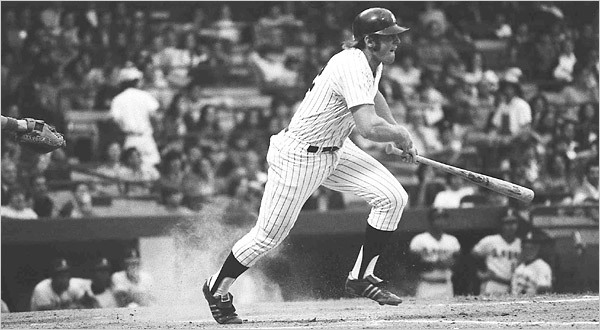 I had the privilege to speak with Ron Blomberg – the former Yankee first baseman/outfielder, and Major League Baseball’s first ever designated hitter. He, along with Mickey Rivers, is an honorary starter for the Damon Runyon 5K run/walk for CancerResearch at Yankee Stadium on August 12th. Through our entire discussion, the theme of “family” repeatedly came up – and rightly so. How can it not when discussing the courageous fight of those affected by cancer? They form a very large, close-knit community of victims and supporters, and in the end...they are family. Our talk transitioned from one “family” to the next – the Yankee family. With both, I could sense a deep passion from Mr. Blomberg. He genuinely cares about those he directs his generosity to, as well as those he shared dugout steps with in the early 70’s. As a kid in upstate New York, I remember plopping down in front of the TV to watch my beloved Yankees during those years. They didn’t win championships, and often they struggled. It was a frustrating era for fans of the Bombers. One of the team’s real offensive threats was Ron Blomberg, and I can recall thinking each time he stepped to the plate that number twelve was our best chance at either getting back into a game, or taking a lead. He really was, for me, one of the good memories of those barren seasons. 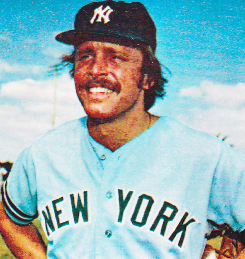 Without further ado, and with a very special “thank you” to a true-blue Yankee, here is our interview with Ron Blomberg. BYB: Mr. Blomberg, how special is it to be an honorary starter with Mickey Rivers for the Damon Runyon 5k run/walk at Yankee Stadium for you? Ron Blomberg: It is a big honor for myself and for Mickey. Anytime you’ve been out of baseball for many years and they ask you to do something like this, it makes you feel very wanted. I’ve been very lucky in my life that I have two doctors as kids that I understand what cancer is all about. I travel all around doing charity events like this across the country. 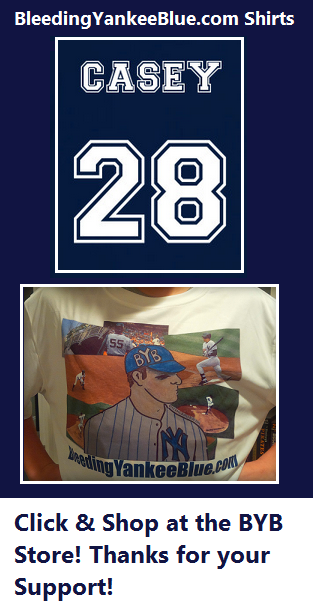 Just to be part of this at Yankee stadium and to do something with the ribbon (ceremony) it means an awful lot to me. BYB: I know you’ve been Honorary Chairman of the Israel Cancer Research Fund. Is that how you came to be so involved with cancer research? Ron Blomberg: No, not really. I was however very involved when Catfish Hunter passed away with ALS. 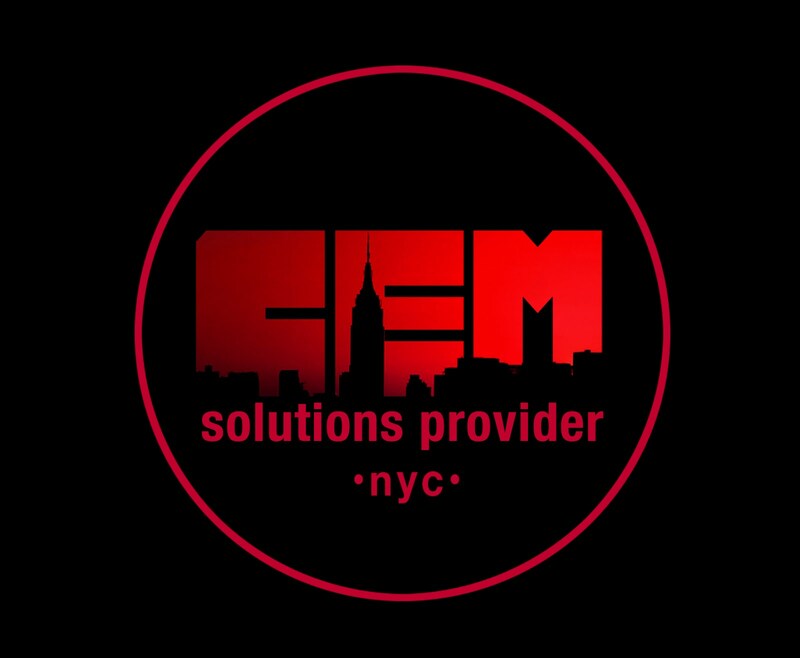 I do so many events in Atlanta, New York and all across the country. 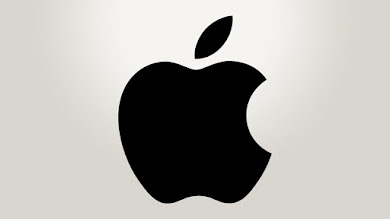 To be affiliated with something that you really truly believe in makes you feel good. As an athlete I was very lucky in my life and I look at fans as the heroes, not me as the hero. So, if I can help somebody in different situations, it’s great. BYB: You played nearly all of your career with the Yankees. Describe the Yankee clubhouse from 1971 to 1975 – how was that? Ron Blomberg: When I first signed with the Yankees it was not with the Steinbrenners and it was not a good team. When George first took over it was probably a middle-of-the-road team. The clubhouse was unbelievable. We still had players like Thurman Munson, Roy White, Bobby Murcer, Fritz Peterson, Mike Kekich, Gene Michael. I’m very close with the Steinbrenners – Hal, Hank and Jennifer. They are like second parents to me and they take very good care of me. I do many things at the stadium and am so much involved. I bleed Yankee blue and I’m very, very proud of it. When George came along, you could tell we had a great team. We had Mickey Rivers, Oscar Gamble, Catfish Hunter, Chris Chambliss, Spark Lyle and Reggie of course. George Steinbrenner was like a second father to me and he was a wonderful human being. To this day I think that he is by far the greatest boss I’ve ever had, and they are by far – outside of my own family – the best family I’ve ever met throughout my lifetime. 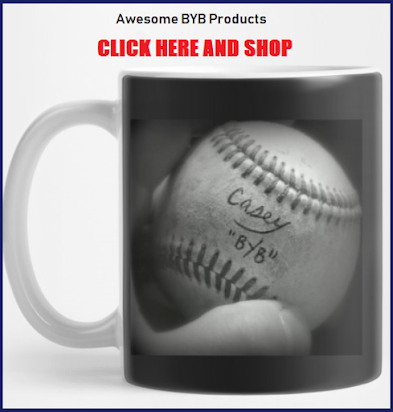 BYB: From those teams you played for, who were the guys you hung around with? Ron Blomberg: Well I was very, very close with Thurman. He was my roommate for four years. 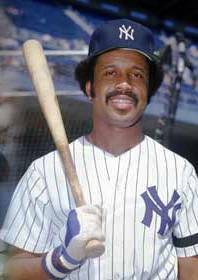 My friends on the team included: Chris Chambliss, Mel Stottlemyre, Oscar Gamble, Mickey Rivers and Elston Howard - who was a coach. I also hung around all season with Phil Rizzuto, Frank Messer and Bill White. Back then, it’s not like it is today. We became very close because number one- we did not make any money. We had to do things together. We had to go to the ballpark together, and we went out together in the evenings to eat on road trips. We couldn’t go out and spend $50 - $60 back then for a steak because we made like $8 or $9 a day for meal money. The financial situation is much easier now, but I would not trade my time that I played with the Yankee organization with the time now because we were so close knit. You know, we go to Old Timers’ Day and see Derek, Mo, Tino, Posada, and all those guys and they are like brothers to us. It was big for us (when we were players) when we’d go and see Mickey Mantle and Yogi Berra. We go into the clubhouse these days and the guys open their arms to us because they know that one day they’ll be in the same situation. BYB: Ron, everyone knows you as the first designated hitter in MLB history. How did that come about, and did you enjoy it? Ron Blomberg: Well, you know I screwed up the game in 1973 being the first DH. To be honest, I thought I was a glorified pinch-hitter. When I played DH, it was just a pinch-hitter. No one knew what it would eventually be. How I became it – I had a pulled hamstring down in spring training. I came off a good year in 1972 and was having a good spring in ‘73. They didn’t want to put me on the DL because we were supposed to break camp five days later . They asked me if I would be the DH against Luis Tiant up in Boston. I said “of course” because I didn’t want to go on the DL. I thought it was going to die just like the designated runner did. I never thought it was going to be this big. Recently, I had Paul Konerko come up to me and thank me for extending his career five more years. Yes, I changed history in ’73 and 50% of the people liked it and 50% of the people hated it. I don’t think the National League will ever adopt it. It’s great to be part of baseball history and be noticed because of it. People recognize me when I make airplane reservations or hotel reservations. It’s really been fun for me. BYB: How do you think Derek Jeter would have handled the clubhouse of the ‘70s – back when you played? Ron Blomberg: Derek is a unique player. He is a wonderful human being. He never gets into trouble and he is great with the people and great with charity. He is great for baseball. He would have conformed to our clubhouse. I think the guy that would really relate to our clubhouse would be Nick Swisher. Swish is great for the game of baseball. He puts a smile on people’s faces. People love him because he’s fun. The Yankees as a whole are a different breed. George Steinbrenner has conformed, but didn’t force, these guys into a family and that’s why Old Timer’s Day is so gratifying. Here’s a prime example: Cecil Fielder spent most of his career in Detroit, and he comes back (to Old Timer’s Day) because he spent a couple of years with the Yankees. He told me there’s no way that the Tigers would do this. The Yankees are the only team that would. It’s a family. It’s a very simple thing. If you feel you are a part of a family you react to it and you do things for others in the family. BYB: Growing up, who did you admire the most in baseball? 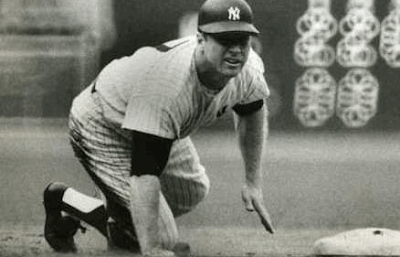 Ron Blomberg: Mickey Mantle. Mickey Mantle was my idol and I met him when I was 17 and signed with the Yankees. He was always very nice to me. He was part of the “family” and was great to me and my family. BYB: What player or players from your day do you still stay in touch with? 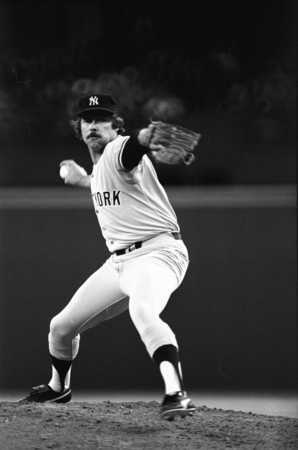 Ron Blomberg: Mickey Rivers, Oscar Gamble, Ron Guidry, Goose Gossage, Roy White and lots of guys. I talk to them in the off-season and see them at golf tournaments. We are all part of a “family”. It’s like anyone’s family. You don’t call them up every week , but we contact one another if say, unfortunately someone is ill. We stay in tune with each other. BYB: People don’t realize that your nickname was “Boomer” long before David Wells had that nickname. Who gave you that name? Ron Blomberg: Phil Rizzuto. I used to hit my home runs way up into the upper deck. To this day so many people recognize that. BYB: One final question. 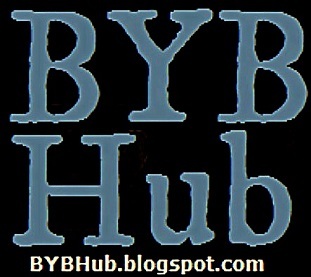 Do you have anything (website, autograph session, etc) that you’d like to plug to our readers? 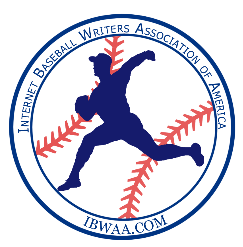 Ron Blomberg: I do have a website. It’s ronblombergyankees.com. If people want to email me, they can at ronblomberg12@gmail.com.